The pond and surrounds are a local resource teachers and group leaders can use for teaching across the curriculum – about wildlife and the need to protect and conserve our environment, about our local history and heritage, about social and community cohesion and interaction, and as a focus for art and literature projects. Schools and youth groups are very welcome to, and do, visit our pond. 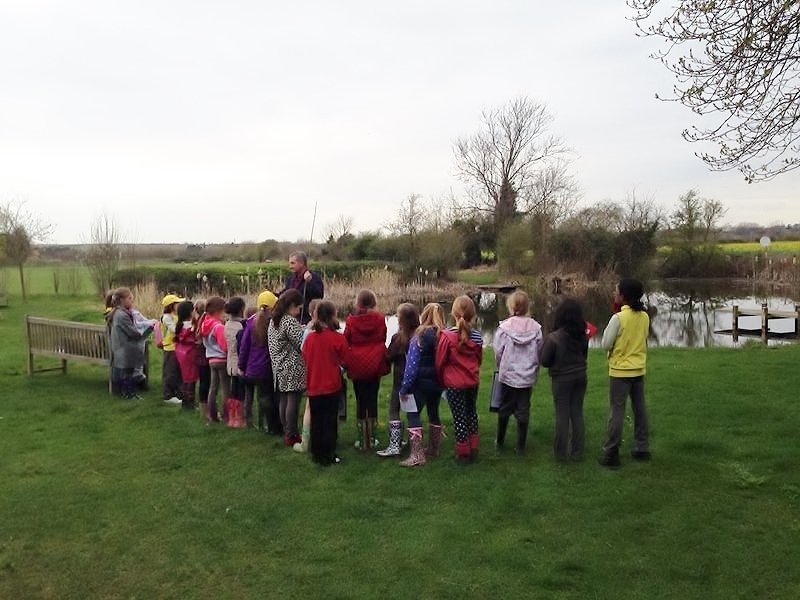 The Great Denham Brownie pack visited in March 2014. Drawing also from material on our website, their leaders prepared information, including a work booklet, for the visit; and the Brownies wrote poems inspired by their visit, reproduced here in original artwork and on a combined sheet. Our Chris Jones acted as expert guide for the visit.